Who is at Fault for a Car Accident in Bad Weather in Kansas or Missouri? The weather can often be a factor in car accidents throughout Kansas and Missouri. Snow, ice, hail, sleet, rain and fog can create dangerous driving conditions that may contribute to causing an auto accident. If you were involved in an accident that occurred during a storm or bad weather, it may seem like there was nothing anyone could do to avoid the accident. After all, the forces of mother nature are beyond our control, and when the weather causes difficult driving conditions, an accident may appear to be inevitable. In these situations, the driver and those involved in a weather-related car crash often wonder who is at fault for the crash. It is important to note that the law, and insurance companies, require drivers to drive responsibly and with due care in all types of weather. There is no exception to this rule based on the conditions of the roads or weather. This means that, during bad weather, a driver must take extra precautions to drive safely, maintain control of his or her vehicle, and avoid an accident. In certain circumstances, driving responsibly in bad weather means you must drive slower than the posted speed limit, take turns slowly with extra caution, use your hazard lights, and even pull over and stop driving if your visibility is limited or the conditions are too bad. 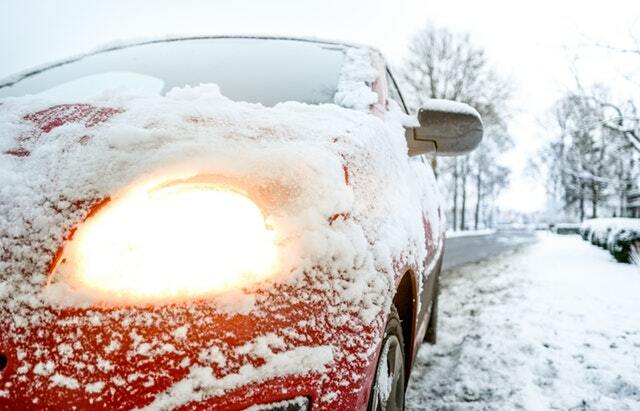 Weather and road conditions may be noted when determining who is at fault in a car crash. However, the weather alone will not prevent a driver from being found liable. In general, if a driver loses control of his or her car, whether by sliding on ice or hydroplaning in water, and crashes into another vehicle, the driver who lost control will be held responsible for causing the accident. If both drivers lose control of their cars due to the weather and crash into each other, the responding police officer may decide that each driver shares in the fault in causing the accident. In this case, the insurance companies may decide that each party shares in the fault (which is known as a 50%-50% fault allocation). In this situation, a party may file a claim with their own insurance company, but it will be difficult to hold the other party liable for the crash. If you want to dispute the findings and results of the insurance company’s investigation into an accident, you will have to show another driver was responsible for the accident, not the road conditions. Again, the reason is that drivers are expected to maintain safe control of their vehicle at all times, even in adverse weather. If a driver loses control of his or her vehicle and causes an accident, that driver is usually found liable for any injuries or damages that were caused. If you were involved in a car accident during severe weather conditions in the Kansas City area or anywhere in Missouri or Kansas, and you did not cause the accident to happen, you should consider contacting an experienced car accident attorney. No one wants to be in a car accident, and accidents cause a lot of unnecessary stress, especially since most people have not had to deal with the legal issues that arise from them. It is very important from the outset to make sure that your legal rights are protected. Your case may seem clear cut, but you must remember that the other party's insurance company is not your friend and their job is to pay you the least amount of money possible. They will often try to find some way to put fault on you in order to justify a smaller settlement to you. In addition, in weather-related accidents, whether they are in Kansas City, Overland Park, Liberty, Lee’s Summit, or any other nearby cities, the at-fault driver's insurance company may try to argue that you and their insured are equally to blame for the crash, and they may refuse to offer you anything. You must remember that you do not have to handle your car accident injury claim alone. An experienced car accident attorney can help you receive the maximum settlement available for your injuries. Your car accident attorney can help you with a number of things, including the negotiations with the insurance company. Your attorney will help you understand the value of your case and make sure you are not settling for less. If you have been injured in a car accident in Kansas or Missouri, you only have one chance to receive the compensation you deserve for your losses. Contact our experienced Kansas City car accident attorney at 816-203-0143 for a free consultation. Our Kansas City car accident lawyer can help you receive the maximum amount of compensation for your injuries. Our law firm offers free, no-obligation consultations to accident victims. Call today at 816-203-0143 or fill out the form below. We would be happy to speak with you.